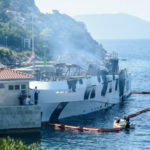 On September 7 , the 40 meter long yacht Kanga caught fire in the Adriatic Sea off Dubrovnik, Croatia. 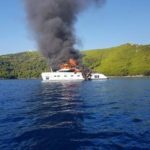 The yacht had 9 passengers and 4 crew on board when an electrical short ignited a fire on board the vessel. 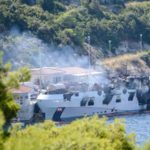 The crew was unable to contain the blaze and requested assistance from the local fire brigades in Dubrovnik and from the island of Mljet. 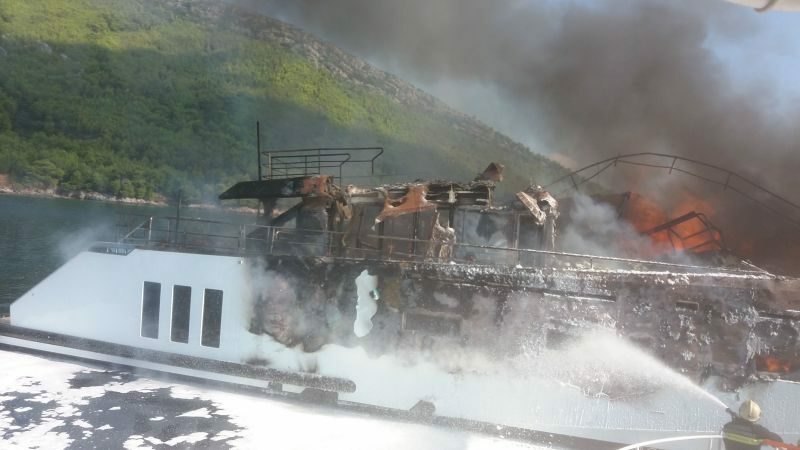 The crew and passengers on board the Kanga were safely evacuated while fire fighters worked to contain the fire. 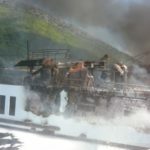 The fire would be eventually contained by the next day, but 3 fire fighters were injured. 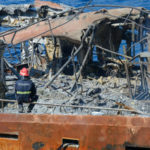 The Kanga suffered extensive damage with its superstructure destroyed and much of the hull damaged. 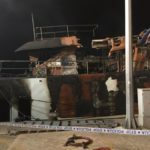 Authorities had the hull towed to Prapanto where the fire re-ignited again. Reports state the second fire was quickly controlled. Authorities have dispatched a response boat to the area to contain any pollution released.